TIMELESS ELEGANCE: Jewelry is a gift of timeless elegance. It brings pleasure to people in many ways. 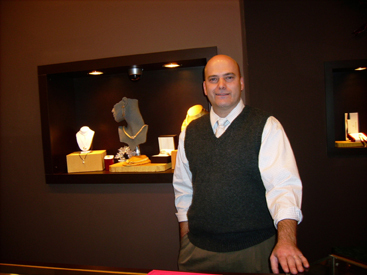 It can give you insight into a family, as it is passed down through different generations. Mark Weinglass, owner of the new Leon-Meyer Jewelers, is shown by a display case, filled with a signature sampling of earrings, necklaces, and bracelets, featuring diamonds, emeralds, pearls, gold, and platinum. 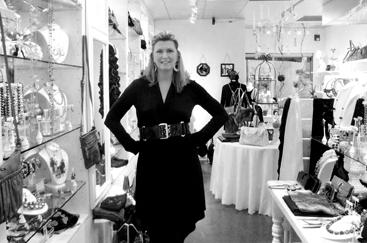 SENSE OF STYLE: I wanted to create a very pleasant shop for people to come to visit. Ive worked hard to bring something special and unique in fashion and home accessories, and at affordable prices. I think I have a good sense of style and an appreciation of customers financial sensibilities. Lisa Jones, owner of her name-sake store on Witherspoon Street, is proud of the shops success.